This is a reproduction of an original “ST. 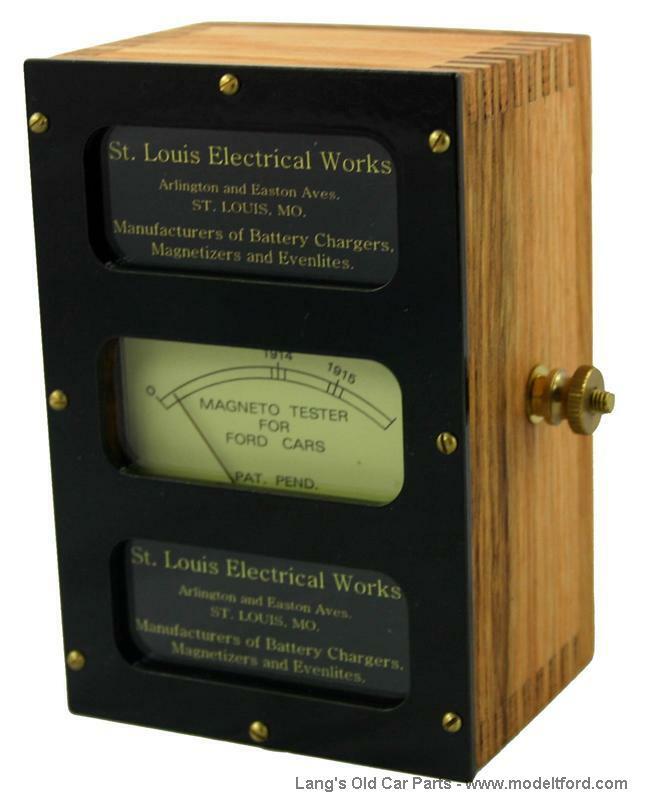 Louis Electric Works” tester circa 1916. Allows you to test your magneto’s output while it is still in the car, regardless of engine speed. High quality. Exact duplicate of an original tool. Likely the best magneto tester ever designed.